A warm welcome into the new Valiant Universe, for us new readers seeking something fresh and awesome. I missed out on the era of the old Valiant comics of the 1990s. I remember an impressive shelf presence and a dedicated reader base which had my curiosity, but not enough to pull me in. Two decades later, Valiant Comics now makes significant comeback, in the hearts of new readers both old and new. Lately, I have hungered for a new universe to jump into, feeling tired of the mainstream Marvel/DC melodrama. 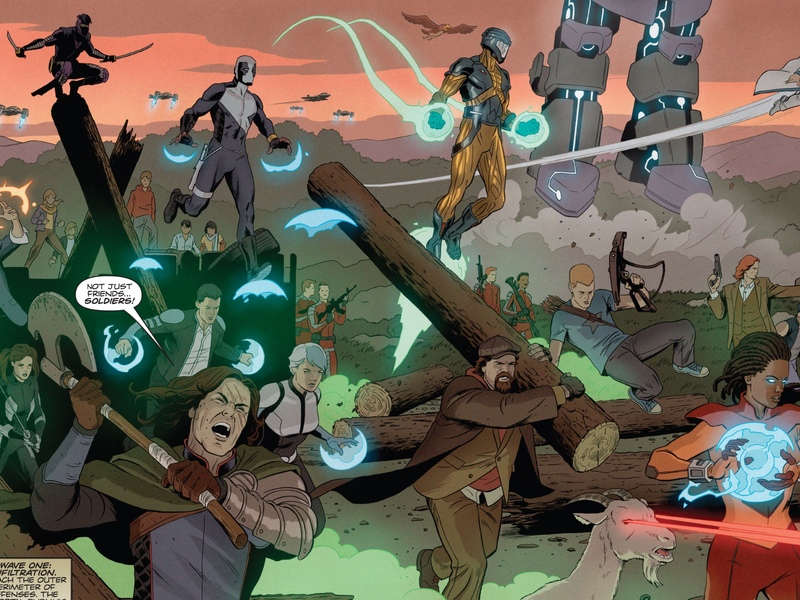 Now onto the Valiant universe where I am curious again, and going in..
Based on many rave reviews and a friendly invitation at a recent comic convention, I looked into Valiant’s recent Divinity and The Valiant mini-series. I heard both were good jump-on starters for Valiant, yet I need not familiarize myself with its extensive history and background. I will cover Divinity in a future SW posting for being a fantastic science fiction tale, and focus on The Valiant for its delivery as a gateway to this interesting new world. 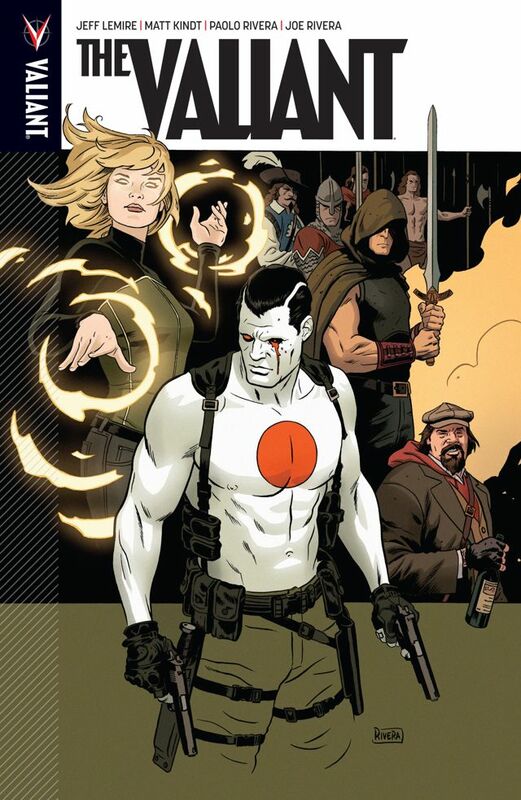 The Valiant is a story of many characters re-introduced, though the focus is on a few main players leading the charge against an ancient immortal evil. We have a fresh approach to each character in the book, giving just enough to see what makes them special. Part of the goodness of the series, is that the main character is up to the reader, as we see a balance between important characters not just to the series, but to the Valiant modern mythos. We have Gilad, the Eternal Warrior, who has carries on his heroic quest though he constantly loses in protecting the ones he loves. He meet the Geomancer, now a woman who carries on this generational title with the new responsibility of bearing Earth-based powers. We have Bloodshot, a nano machine infused killing machine. Keep going, and there are more cool characters who were the stars of their own series, and will be again. For this series, we have them all binding together, for a common purpose..and it’s awesome. Each come together to deal with an unkillable enemy, later known as the Immortal Enemy, or Mr. Flay. The origins of the evil are unknown, perhaps just an unnatural evil force that serves to torment the Eternal Warrior, and expand that suffering unto others. There is a binding fantastic heroism in combatting this horrible thing. which feels nostalgic and wonderful to the comics of old, where us readers can root for their hopeful victory in conquering this evil, and becoming stronger as a result. But not all is predictable, as the story leads us into some uncertain territories. Not all good wins, through the conflict makes for a good ending..or beginning if this book drew you in enough. 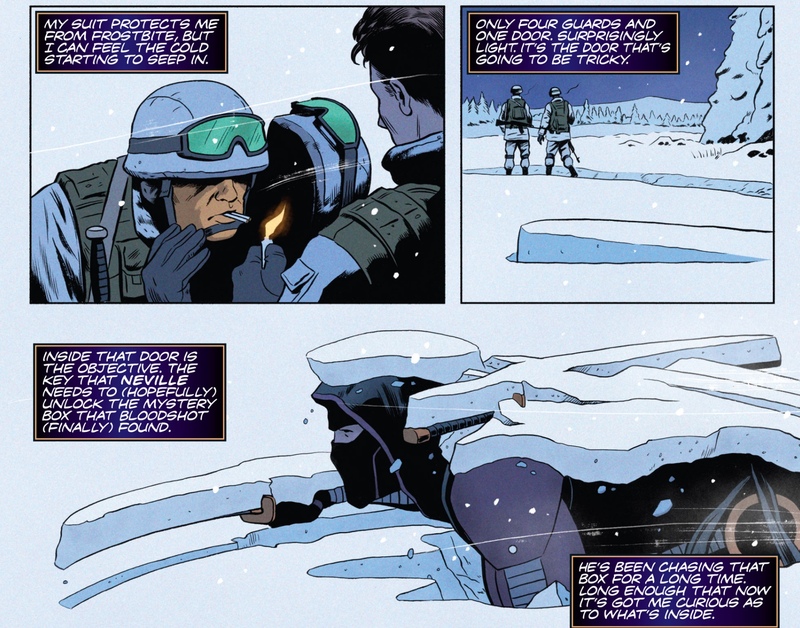 Plus, we have some great action and horror elements throughout these issues. 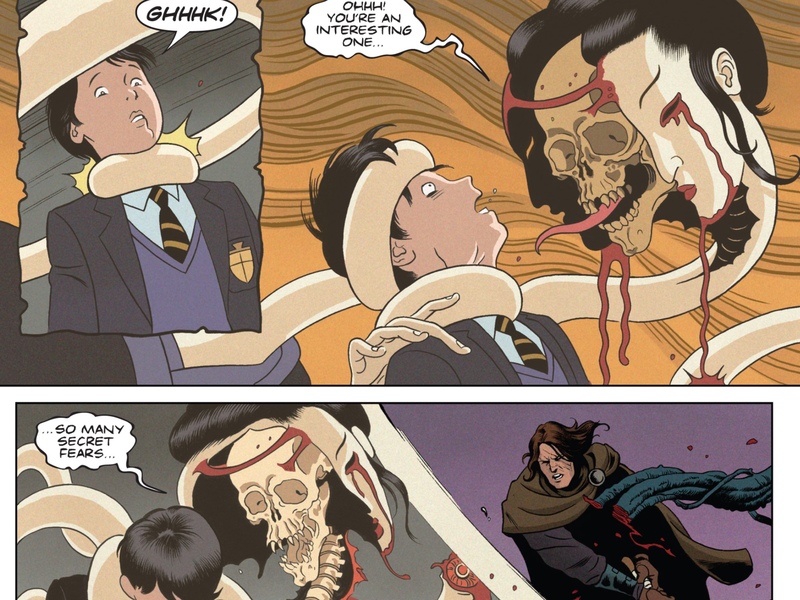 The Valiant also does not hold back on the nightmares brought on by the master evil. Using all that is good in attempt to end the horror, kept me on edge. This fine dancing between horror, fantasy, and science fiction is what makes this universe interesting. So keeping all this in mind, The Valiant is a worthwhile read. The price of this trade paperback is only $9.99, a cheap price for those looking to test the waters of this new universe. There is plenty within that amount, to explore and enjoy.